Something spooky is being concocted in the Mullion Cove kitchen this Halloween. The Bristol based company, which recently moved into the kitchens at Bordeaux Quay, has created limited edition pumpkin and bat shaped fairings making them the ideal treat to go Trick-or-Treating with. Each fairing is made using the original Mullion Cove fairing recipe and once baked, they are carefully decorated with velvety Belgian white chocolate. 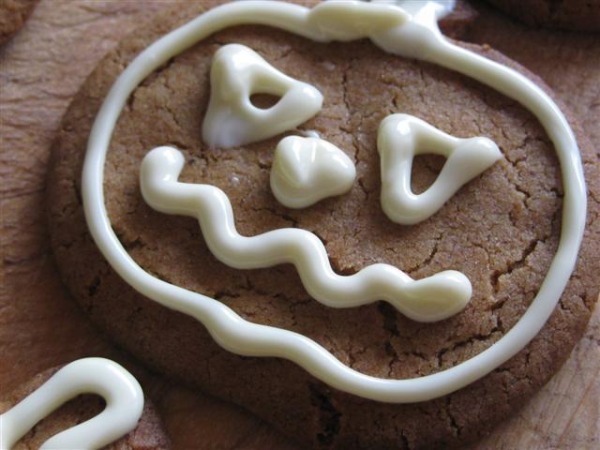 Frightfully delicious and just the thing for little ghosts and ghouls! For Christmas, Mullion Cove has focused on our British tastes and has invented a limited edition Scotch whisky and dark chocolate fairing. These extra special biscuits consist of two original ginger fairings sandwiched together with a decadent whisky and Belgian dark chocolate filling. Certain to warm the cockles this winter teamed with a hot toddy, they also make perfect stocking fillers this Christmas. Catch both of these limited edition fairings at various outlets in Bristol including Paper Scissors Stone pop up shop in Quakers Friars and Bordeaux Quay on the Harbourside. They can also be purchased on-line at www.mullioncove.net or at local farmers’ markets at Whiteladies Road and Ashton Court Estate.